The purpose of the visit was to gain an insight into Austrian approaches and practices in preventing and combating corruption. After the welcoming address by Mr Andreas Wieselthaler, Director of BAK, the guests received a brief overview of the BAK's scope of duties. Mrs Martina Koger, Head of Department 2 (Prevention, Education and International Cooperation), then presented several initiatives and activities relating to the BAK's prevention work. 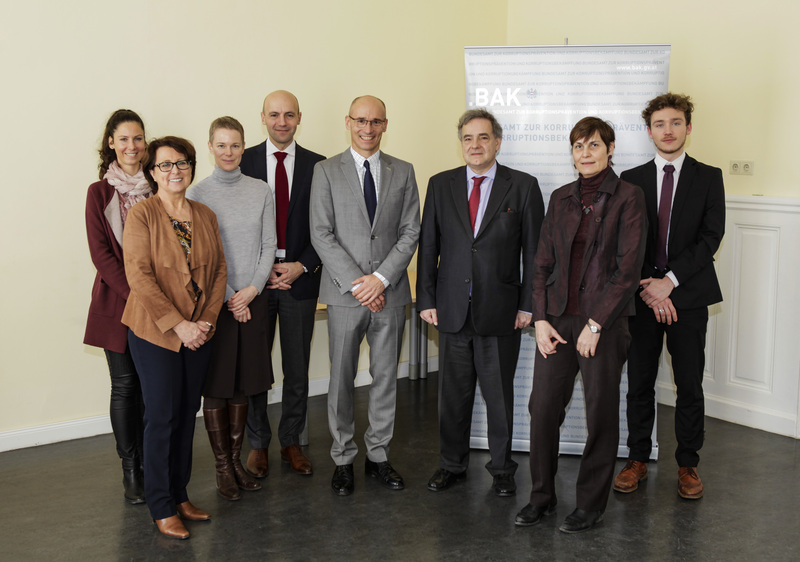 The French delegation showed great interest in the BAK's work, in particular, its remit and legal framework, and cooperation projects with France. 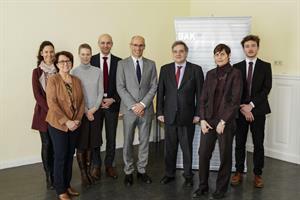 The French authority "Agence Française Anticorruption" (AFA) is the BAK's project partner in the "EU Integrity" Project, and is represented in the European anti-corruption networks EPAC and EACN jointly with another French authority, the "High Authority for transparency in public life" (HATVP). Since the end of 2016, the BAK has assumed the responsibilities of the EPAC/EACN Secretariat. The guests also responded positively to the BAK's numerous national projects such as the "Correct or Corrupt" app and the "Fit4Compliance" board game about values, both developed by the BAK.